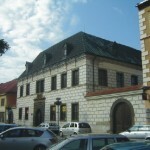 VYSOCINA REGION BEER TOUR I. 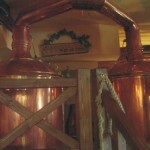 Our long beer tour will start in the cosy mini brewery Richard´s. We will unveil a bit the secret of the local beer and have a lunch there. 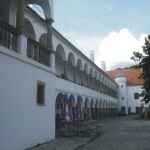 Next journey will take us to Oslavany, where we will visit the castle and its brewery restaurant. Unfortunately, its own brewing has been temporarily suspended, but we still could taste other interesting beers there and learn about local beer traditions and curiosities. On the way to Dalesice we can look down on the buildings of the former breweries in Dukovany and Hrotovice. Especially in Hrotovice there was a very nice brewery of the lord. 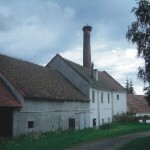 On the next stop we will visit the old brewery in Dalesice, mostly known from the Jiri Menzel´s film POSTRIZINY. 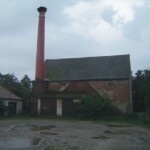 The brewery, chosen to the film for its traditional setting, restored the brewing in 1999. You will have the possibility to acquaint with the operation of the brewery, taste the beer from the cellar and later in the brewery restaurant, too. On the way to our last stop we can admire other beer places of interests, for example the building of the former brewery Vladislav. Before the dinner we will reach the market town of Velke Mezirici (also called „Under-Bridge”) and its Malostransky Brewery. Together with the chief brewer Josef Zaputel we will view the brewery and taste the beer from the lager tanks. We will close our beer tour with a dinner in the gourmet brewery restaurant. We recommend its fish menu because fish is always fresh there – fished out straight from their fish tank. 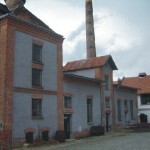 Those who are interested in the sightseeing can walk around the town to see the former brew houses and learn more about the brewing history in the region.